1967 Lincoln Continental 4 Door Hardtop Leather Seat Upholstery A correct reproduction of the original pattern. We offer Trina leather inserts with matching Trina grain vinyl trim. Correct vertical patterns and sewn as original. Features Trina Leather with matching Trina grain vinyl trim. Correct 6 stitch per inch stitching. Correct colors matched to the original material. Limited lifetime warranty.​ Available in black, white, gray and brown. 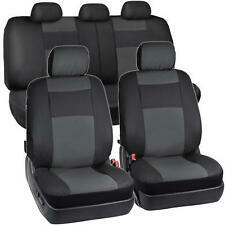 Includes Upholstery for front and rear bench seats. Arm rest cover upholstery. Limited lifetime warranty. Additional Info Samples Mailed Upon Request. Inquire for Availability for Colors not Listed Above. Seat Upholstery ONLY is being sold, not seats. Pattern as Shown. Made in North America. Free Shipping within the Continental U.S. only. Allow approx 21-30 business days for Production. Just to be clear, you will have to remove your existing seat covers down to the foam to put these on. 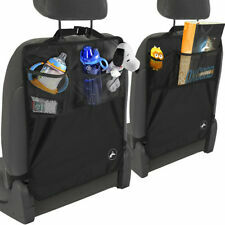 These are not covers that go on over your existing seat covers. These covers are perfect mint as new condition. FITS VEHICLES MAKE: Lincoln-. 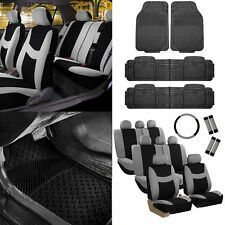 FITS: - Passenger Side Bottom Perforated Leather Seat cover Light. What is and is not included: - Foam cushion and Seat Fram are not included. 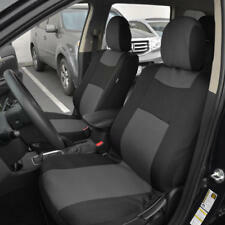 Check out USA AUTO SEAT COVER's selection. '61-'63 Lincoln Continental 4 Door Convertible Seat Upholstery A correct reproduction of the original pattern. We offer Trina leather inserters with matching Trina grain vinyl trim. Correct vertical patterns and sewn as original. Features •Trina Leather with matching Trina grain vinyl trim. • Correct 6 stitch per inch stitching • Correct colors matched to the original material. • Limited lifetime warranty Available in black, white, gray and brown. 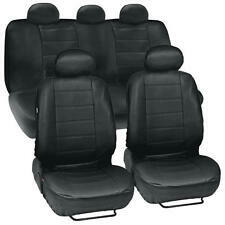 Includes Upholstery for front and rear bench seats. Arm rest cover upholstery. Limited lifetime warranty. Additional Info Vinyl Samples Available Upon Request. Inquire for Availability for Colors not Listed Above. Seat Upholstery ONLY is being sold, not seats. Pattern as Shown. Made in North America. Free Shipping within the Continental U.S. only. Allow approx 21-30 business days for Production. FITS VEHICLES MAKE: - Lincoln. What is and is not included: - Foam Cushion and Seat Fram are not included. 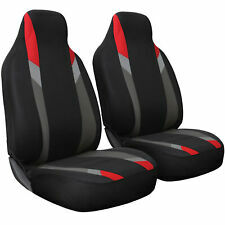 Check out USA AUTO SEAT COVER's selection. MATERIAL: Leather (Perforated). Manual Seats: -. Power Seats: -. PART # XW4Z 5464417 BAC. 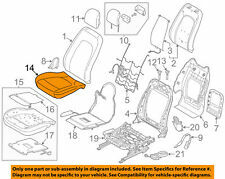 OEM NEW FORD 2000 -2002 LINCOLN LS FRONT SEAT BACK COVER. GREAT ORIGINAL PART FOR YOUR LS. FOR DRIVERS SEAT BACK ONLY. NEW IN BOX. 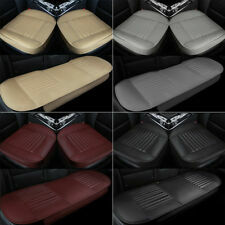 For Sale is (1) Factory Original Lincoln LS Tan Leather cover for the REAR UPPER 40% seat cushion. Just to be clear, you will have to remove your existing seat covers down to the foam to put these on. For Sale is (1) Factory Original 04-06 Ford F-150 or 04-06 Lincoln Mark LT (Tan) Vinyl seat cover for the Front LH/Driver upper seat back. Just to be clear, you will have to remove your existing seat covers down to the foam to put these on. 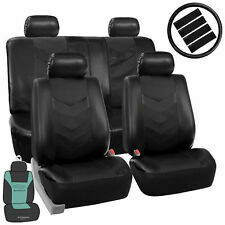 Covercraft SeatSavers - Front Seats. 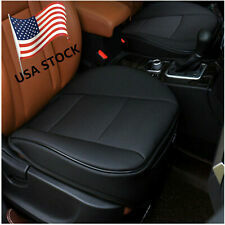 This Covercraft SeatSavers - Front Seats. 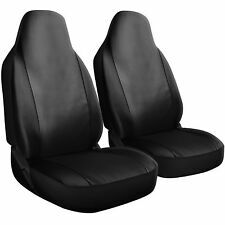 This Covercraft SeatSavers - Front Seats Fits Covercraft SeatSavers - Front Seats. 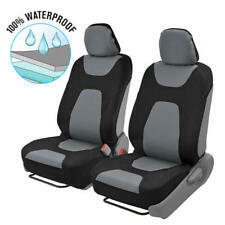 More than a seat cover, SeatSavers by Covercraft are a seat protector made of strong, durable polycotton fabric.